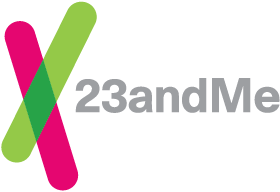 If you and your sibling have both been genotyped by 23andMe, there are two features in particular that will help you to identify whether and to what degree you are related each other. This feature locates other 23andMe members that match your DNA. We sort people into likely relationships based on how much DNA is shared. When two people share identical segments of DNA, this indicates that they share a recent common ancestor. The 23andMe DNA Relatives feature uses the length and number of these identical segments to predict the relationship between people. Your relationship to your siblings would be labelled as "Siblings" if full or "Half-siblings" if partial. First, share your profile with your sibling(s) from the Your Connections page. Then compare your genome to that of your sibling(s) by clicking on their name from your list of connections. Full siblings will have some fully identical regions (purple) and some half-identical (pink) regions. Half-siblings will only have some half-identical (pink) regions.